Nissan GT-R Snap-On Toolkit - note nifty GT-R logo! Talk about a "GT-R Tax" - This compact set yours for only 60,000 yen! Only 160,650 yen! This one is still available to purchase from Nissan, by the way. Here is a very well written review, along with close up pictures of the tools themselves. 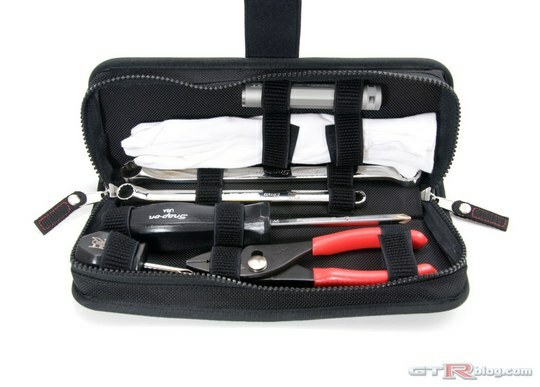 This reminded me that in fact, I had been thinking about putting together a tool kit specifically for the R33 GT-R. And for a price that wasn’t going to be ridiculously expensive, but at the same time, I wanted the tool kit to have top quality tools. 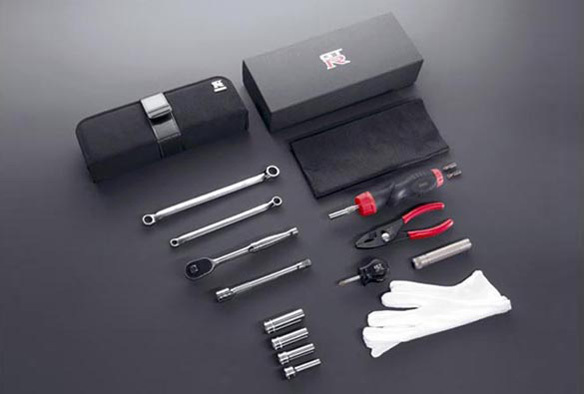 The R35 kit is comprised of Snap-On tools. Yes, I have some and they are gorgeous, well made… but oh so expensive. Is there an alternative? Perhaps a bit overkill, but nice nonetheless. 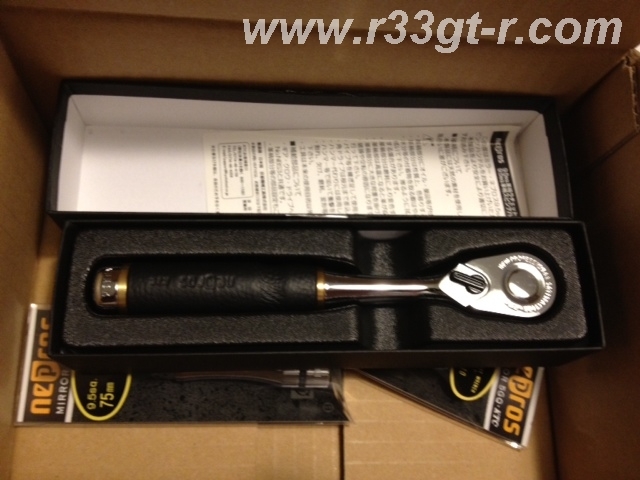 Such a beautiful and quality tool BELONGS in my beautiful and quality R33 GT-R, right?? Seems pretty well received, even by American tool freaks! So I began to research exactly what sizes of sockets, wrenches, etc. I would need for my GT-R. I opened up the engine hood, and started to see what kind of bolts were used in the engine bay. Then took notes on fasteners inside the car as well. Also, to truly make this R33 SPECIFIC – that means that I would need to include the one tool that all R33 GT-Rs carry – and that would be the Allen wrench key to adjust the rear spoiler. 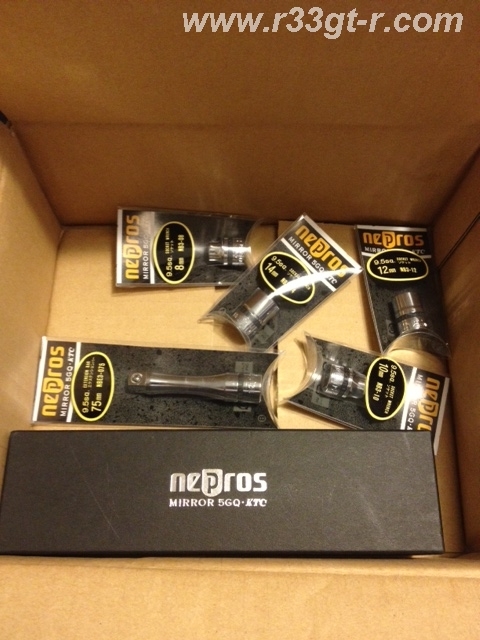 I wonder if I can find a chrome finish one, to match the NePros tools? 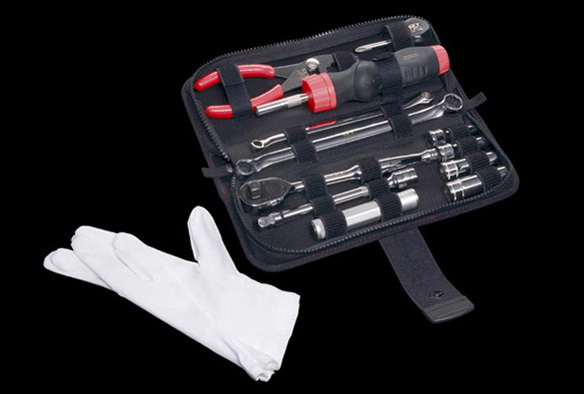 In addition, I suppose you could try to match what the R35 kit has – an LED flashlight, white cotton gloves… but those I can get anywhere, really. More importantly, I need a nice tool bag, ideally with the R33 GT-R logo, but as that doesn’t exist (yet) for the legacy Skyline GT-Rs, this soft sided KTC tool bag will have to do. 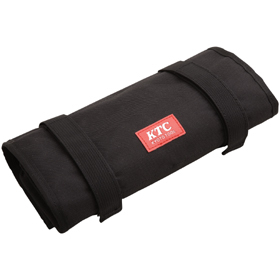 There IS a Nismo toolbag, actually, but it is not as compact as this KTC bag. Anyway, with this project in mind several months ago, I had ordered the bag, but had not gotten around to begin ordering the actual tools... until the other day. So, in the following Parts I will add the remaining "required" tools and then explore what I can do to make this tool kit truly R33 unique, but also look like it came with the car! 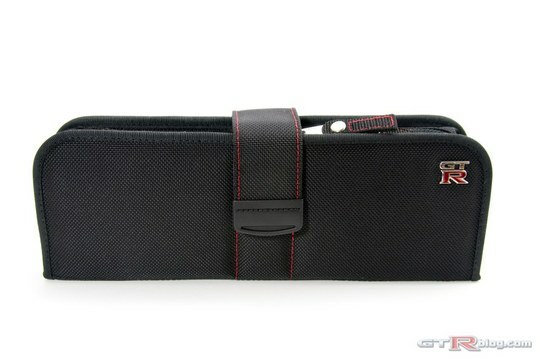 (Just thinking out loud - I wonder if there is someone who can make a custom R33 tool case? LOL). Also, what other cars have a custom tool kit? I don’t mean those rudimentary tools that every car comes with, I am talking about ones with nice, expensive tools designed just for that particular (usually very expensive) car. It would be nice to see what they contain, as well. Does anyone know? Would appreciate if someone can share their knowledge, in my question for the ultimate R33 GT-R Tool Kit! Thanks in advance and stay tuned for more soon!